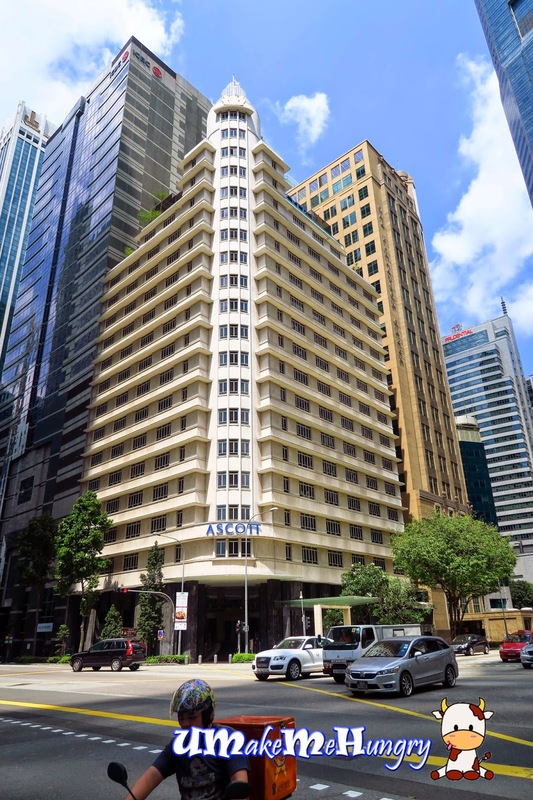 The Royal Mail is housed in the former Asia Insurance Building (now Ascott Raffles Place) and was once the tallest building in South East Asia. This building has been gazetted under URA (Urban Redevelopment Authority) for conversation. 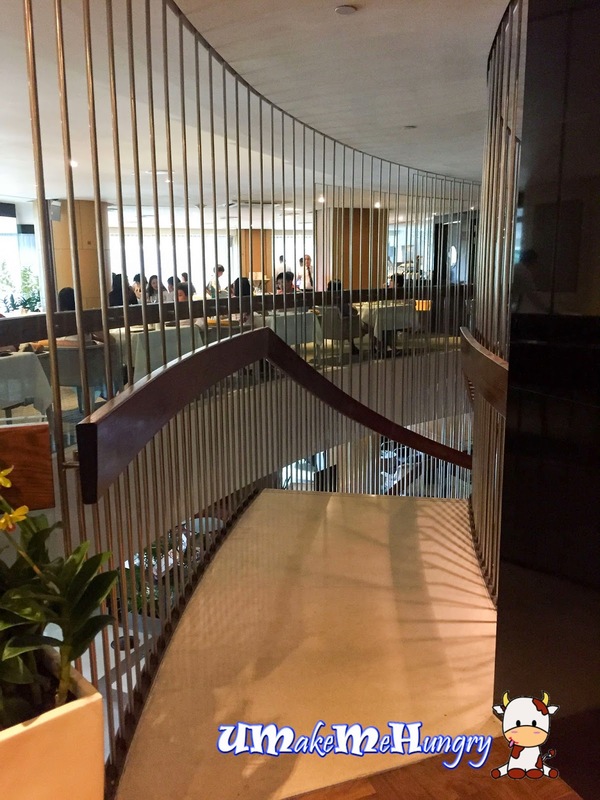 We headed to the Royal Mail via the curved stairways from its ground level for their Lunch Special 3 Course Set under Restaurant Week for $25++. TRM (The Royal Mail) is accessible by the lifts from the ground level too. Ambiance was calm and cool with many diners heading for their Restaurant Week menu. 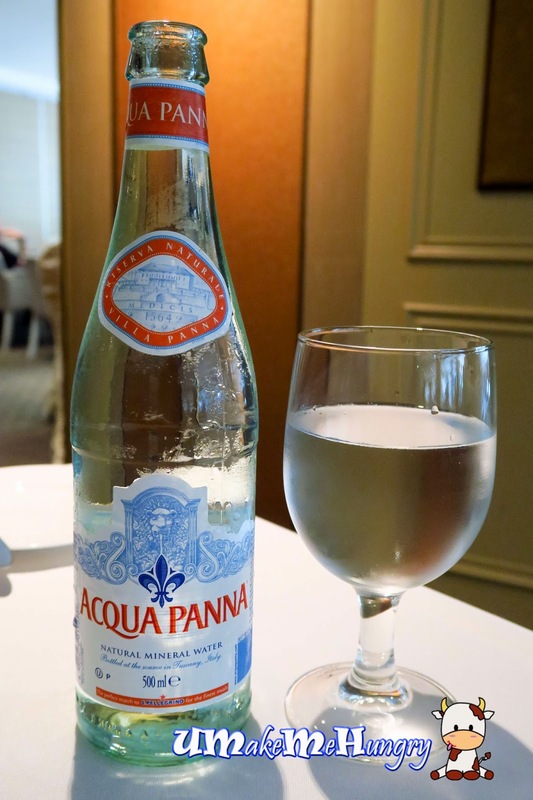 Acqua Panna were served and was charged separately. Appetizers were served. 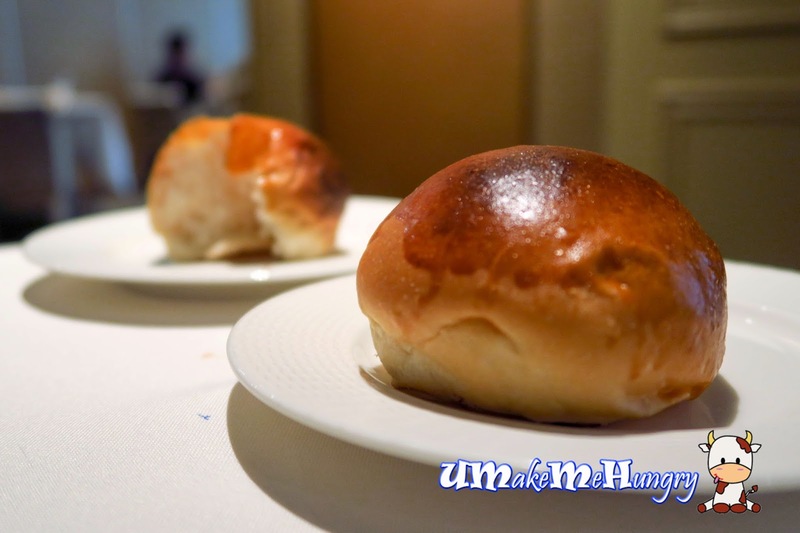 These buns have a charred crispy exterior and a pillow soft interior filled with air pockets. It's good to have them together with the margarine spread while waiting for the courses to be served. 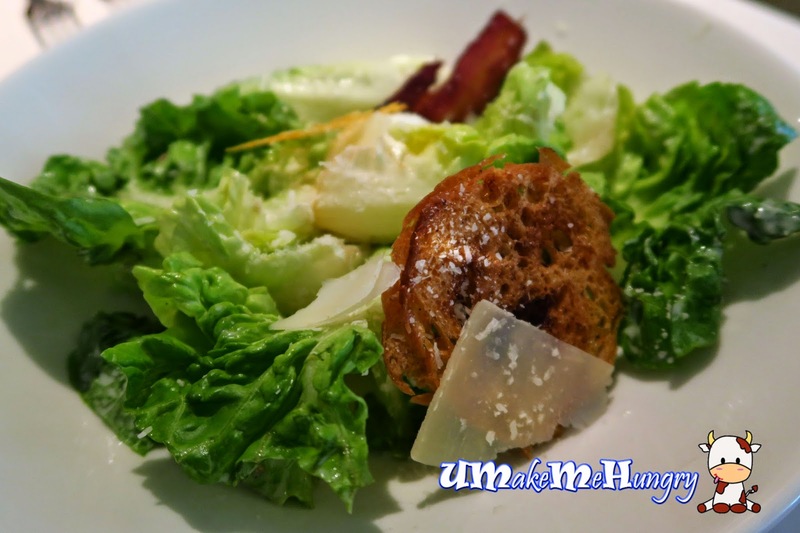 There were 3 starters to choose from and we had their Caesar Salad which comprised of fresh baby romaine lettuce, herbs, coutons, cured bacon, 6 minute egg, home made cesar dressing and Parmesan Chips. The exterior of egg looked abit like the style of poached egg but the yolk was not runny. However, such starters were refreshing way to kick start the 3 Course Meal. Vegetarians are all taken care of by TRM as they never forget to include meals catered to them, just like this watermelon stack. 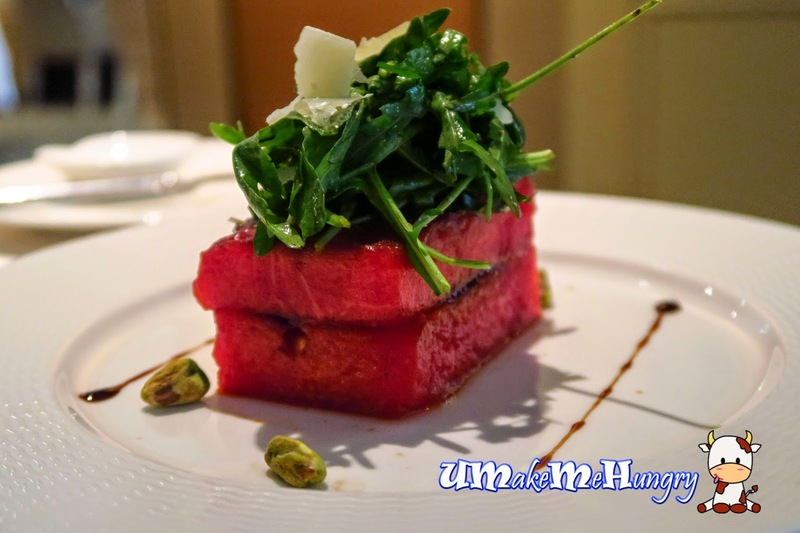 I find such starter very creative as these water melon were cooked and came with roasted pistachio, tomato Tapenade, Grana Padano, Arugula and Aged Balsamic Reduction. One of the Mains ordered was Sakura Ebi Capellini. 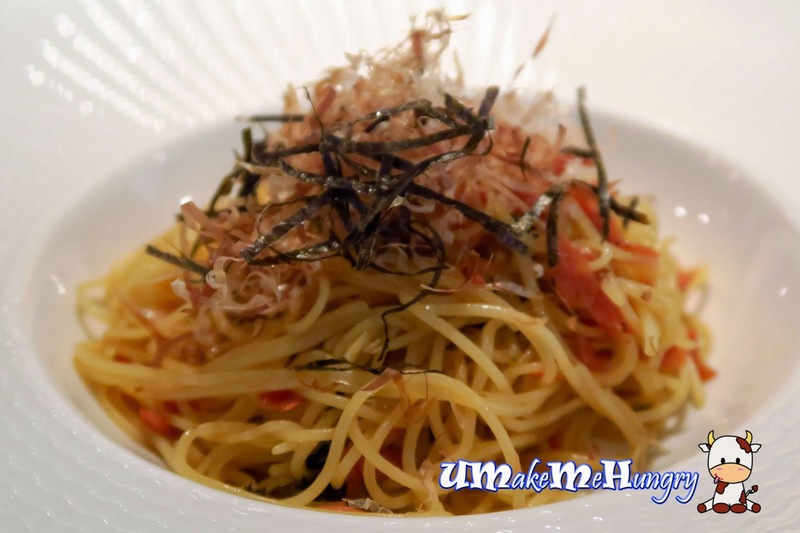 Capellini was topped with shredded seaweed, bird-eye chilli, bonito flakes and kobu sauce. Out of the 4 main courses to choose from, the Sakura Ebi Capellini and the creamy tomato risotto were the basic and did not require additional topped up on top of the $25++. As compared to the former main course, I would prefer this Risotto as I find the dish more tangy. 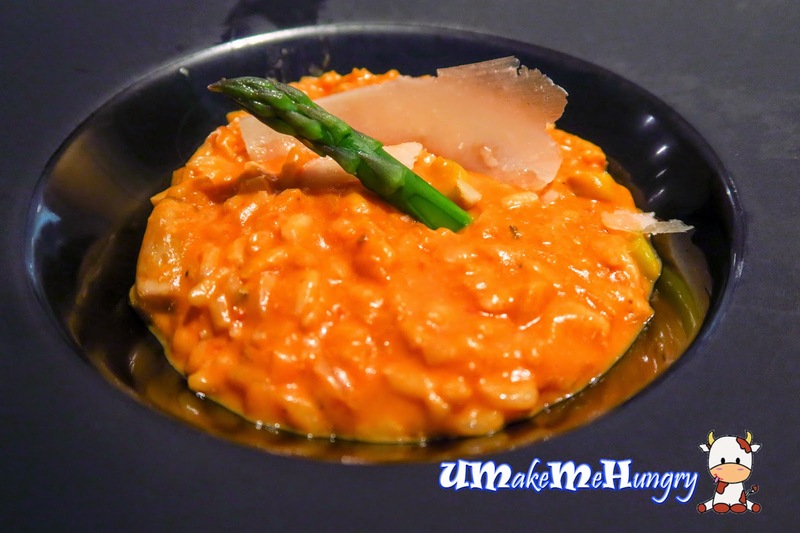 It came with green asparagus, semi-dried tomato, tomato cream sauce and aged Parmesan. If you have a sweet tooth, you will love the Matcha Parfait. 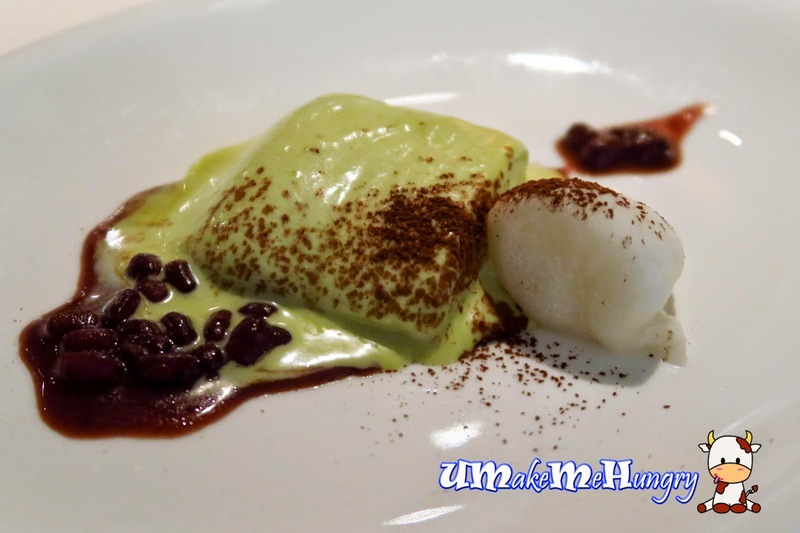 The sweet combination of the parfait with the Azuki Red Bean Stew and Mochi were perfect! 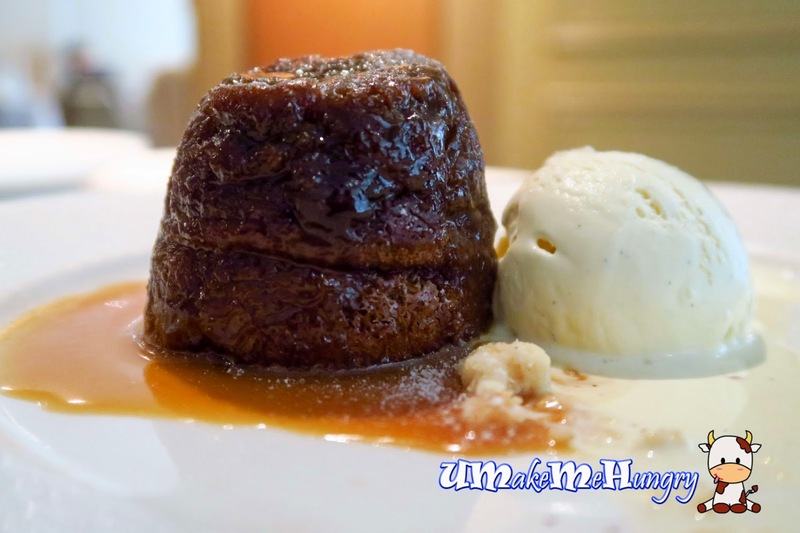 Warm Ginger Pudding was lavsihed with Toffe sauce and a scoop of vanilla Ice Cream by the side. The Dining partner was very pleased such a happy ending for the 3 Course meal but out of the 2 desserts order, I will give my vote to the Matcha as I'm not a Ginger fan when it comes to desserts like this. 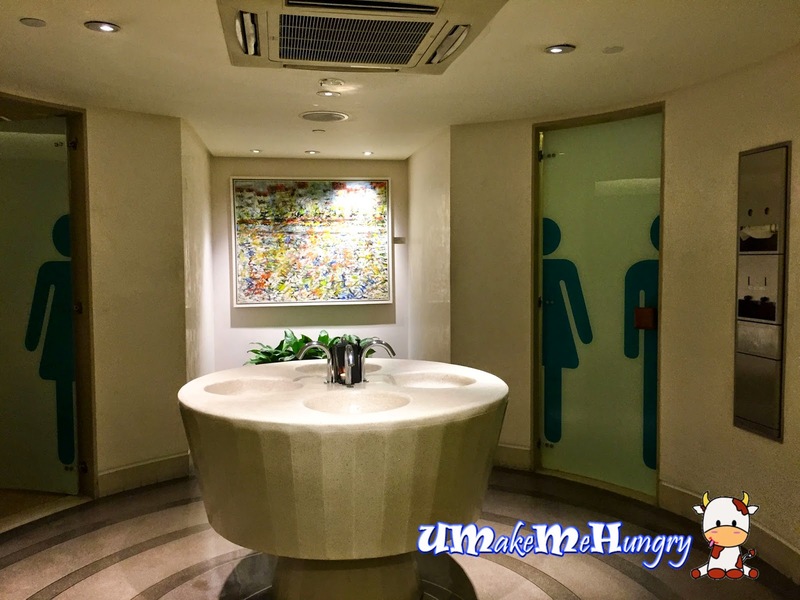 The toilet was spacious and luxurious with a special arrangement for the cubicles. 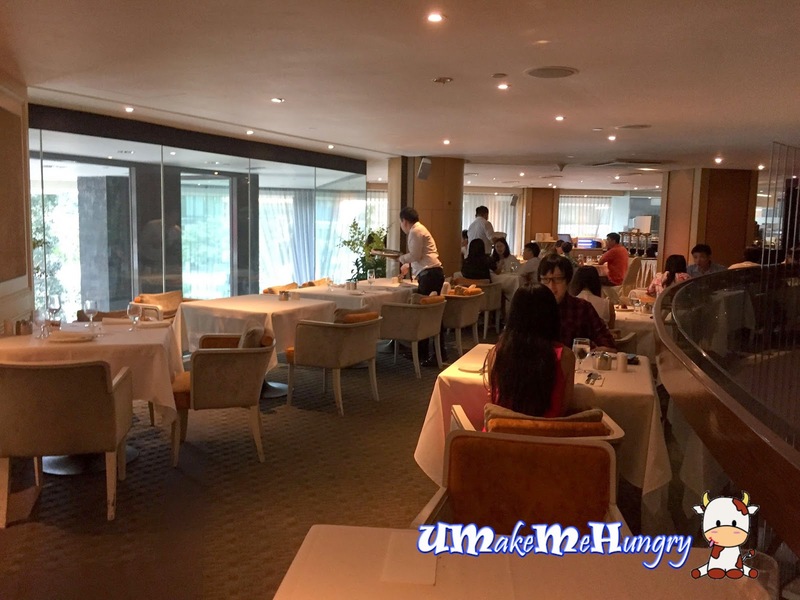 Service from the staff were professional, polite and friendly even though waiting time in between the courses were beyond expectations. To finish the 3 course lunch meal, it took us about 1.5 hrs. 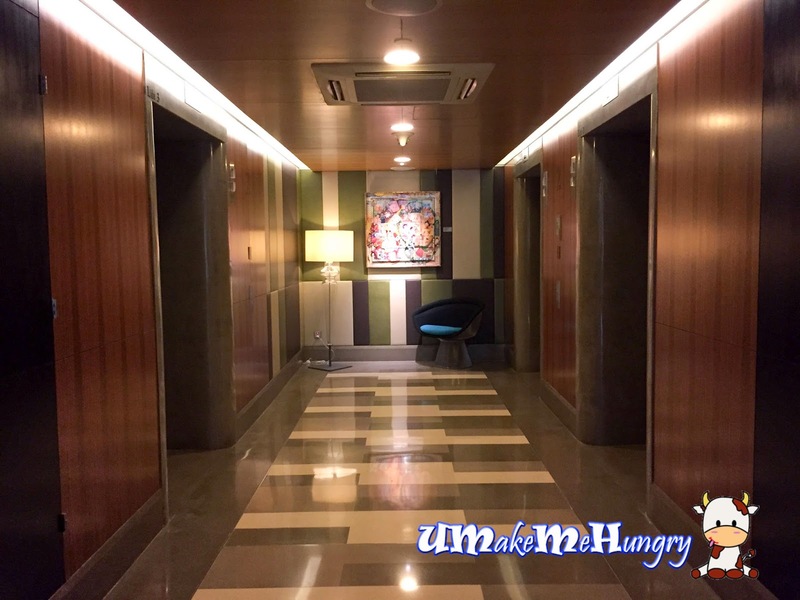 Overall, the dining experience was definitely pleasant.